Beare and Son is one of the UK's oldest violin specialists. This photo is the old shop at Rathbone Place, just off London's famous Oxford Street. We are now based in Dunstable, Bedfordshire, and have been trading in one form or another for over 153 years. Throughout this time we have primarily been wholesalers of an extensive range of items for the violin trade, which includes instrument makers and repairers and high street music shops. We have also always supplied teachers, schools and local authorities. We are able to offer almost everything for the violin, viola, cello and double bass. We are now offering those same products direct to you through this online shop. The current Managing Director, Mark Hutchinson, has nearly 40 years experience with Beare & Son. 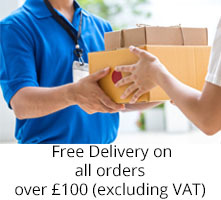 If you can't find what you want here give us a call on 01582 477130 or email beares1@btconnect.com as new products are being added all the time.